You agree that we may at any time, and at our sole discretion, terminate your membership or other affiliation with our site without prior notice to you for violating any of the above provisions. In addition, you acknowledge that we will cooperate fully with investigations of violations of systems or network security at other sites, including cooperating with law enforcement authorities in investigating suspected criminal violations. Copyright (c) 06/17/2012 The Family Table Cookbook All Rights Reserved. 3. Provide information reasonably sufficient to permit us to contact you (e-mail address is preferred). 4. Provide information, if possible, sufficient to permit us to notify the owner/administrator of the allegedly infringing webpage or other content (e-mail address is preferred). Leah Borski Wellness / The Family Table Cookbook website is provided as a service to its visitors. The information and suggestions included on this website are not intended to be a substitute for the professional opinion of any doctor, pediatrician, or nutritionist/dietician. You should always consult your pediatrician, family doctor, or a qualified nutrition professional before implementing a new health/dietary regimen. Any application of methods or instruction provided herein is performed at the reader’s discretion. THIS SITE COULD INCLUDE INFORMATIONAL MISTAKES, INACCURACIES OR TYPOGRAPHICAL ERRORS. WE MAY MAKE CHANGES TO THE MATERIALS AND SERVICES AT THIS SITE AT ANY TIME WITHOUT NOTICE. THE MATERIALS OR SERVICES AT THIS SITE MAY BE OUT OF DATE, AND THOUGH WE MAKE EVERY EFFORT TO PROVIDE ACCURATE AND TIMELY MATERIAL, WE MAKE NO GUARANTEE OF SUCH. All notices to a party shall be in writing and shall be made either via email or conventional mail. Notices to us must be sent to the attention of Customer Service at leahborski@thefamilytablecookbook.com, if by e-mail, or at The Family Table Cookbook, P.O. Box 2751; Key West, FL 33040, if by conventional mail. Notices to you may be sent to the e-mail address supplied by you as part of your Newsletter Subscription. In addition, we may broadcast notices or messages through the site to inform you of changes to the site or other matters of importance, and such broadcasts shall constitute notice to you at the time of sending. Leah Borski Wellness / The Family Table Cookbook (“We” or “Us” or “Our”) offers the use of its blogging and message board services (along with the content posted thereon, the “Services”) subject to the terms and conditions of use (the “Terms”) contained herein. 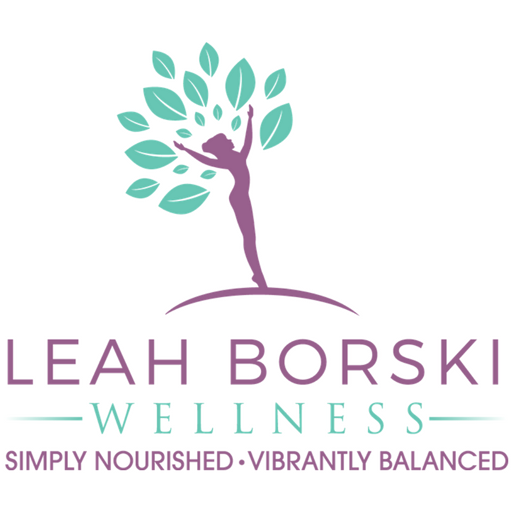 All references herein to “We,” “Us,” or “Our” are intended to include Leah Borski Wellness / The Family Table Cookbook and any other affiliated companies. By accessing, creating or contributing to any blogs or messages hosted by us (the “Blog”), and in consideration for the Services we provide to you, you agree to abide by these Terms. Please read them carefully before posting to or creating any Blog. We reserve the right to change, at any time, at our sole discretion, the Terms under which these Services are offered. You are responsible for regularly reviewing these Terms for changes. Your continued use of the Services constitutes your acceptance of all such Terms. If you do not agree with these Terms, please do not use the Services.